Glyde File Prep root canal conditioner is a chelating agent and lubricant used to soften calcification and aid in cleansing the root canal system. Proper irrigation is essential to successful endodontic procedures. A chemically active irrigant, such as sodium hypochlorite, should precede probing and length determination, and should be used throughout the instrumentation procedure. Glyde File Prep gel should be used to lubricate the files. 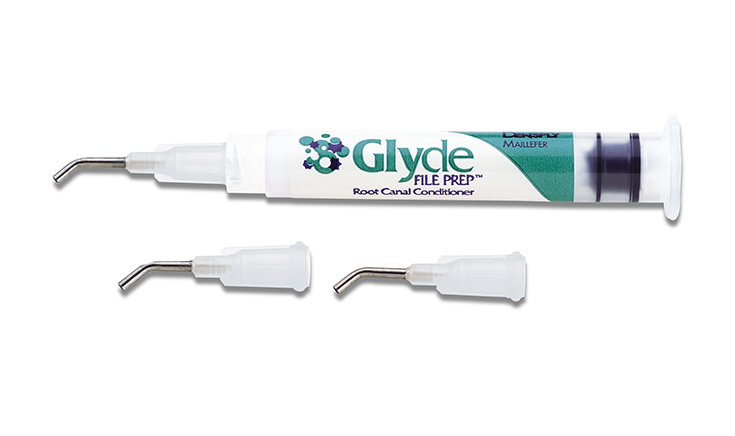 Not only does Glyde gel facilitate instrument movement, but also creates an effervescent reaction in the presence of NaOCI, which lifts dentinal debris coronally.